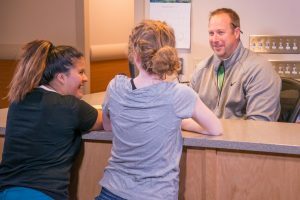 The adolescents and families who turn to Tamarack Center for help have often exhausted other options for addressing their unique needs and special pain. Certain adolescents are emotionally ill-equipped for the difficult process of maturing in a complex world and they experience the world as a place of isolation and frustration. They have difficulty thinking and feeling and taking part in activities most people take for granted. Their behavior places tremendous strain on families and society. The focus of our program is to help these young people break a desperate cycle of emotional illness, low self-esteem and self-destructive behavior. We use a combination of intensive treatment, compassion, family involvement and community outings to address their multiple needs.